WE ARE PARTNERING WITH NYCRUNS, A NEW YORK RACE MANAGEMENT COMPANY TO MAKE THE GMR BIGGER AND BETTER! 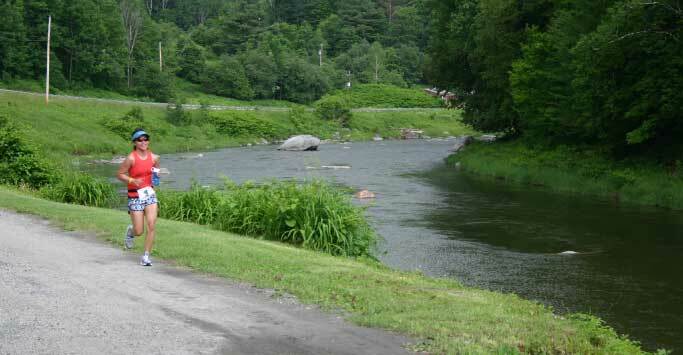 So what's so special about the Green Mountain Relay? In a word: Vermont. 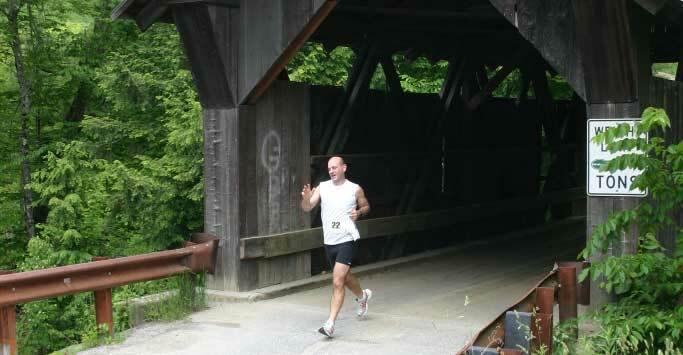 This course covers 200 miles of Vermont's most stunning scenery. The GMR will take you through lush green valleys, up and over rolling hills, on the Lamoille Valley Rails Trail (Vermont's newest rails to trail), past waterfalls, through quaint villages, alongside pastures of grazing cows, and over six covered bridges before finishing with the historic Bennington Memorial on the horizon. And with much of the course following Route 100, one of America's most scenic two-lane roads, you'll have a lot to look at as you cover all those miles. This race is a love letter to lush countrysides, bucolic landscapes, and the pure joy of spending time in the great outdoors with your friends. It's well worth the extra travel time from Boston and NYC. Route 100, which appears on many "Top 10" lists of America's most scenic roads, is a beautiful, two-lane road lined with maple trees, passing through narrow valleys, picking its way around cornfields, and traveling through small villages rather than ignoring them. 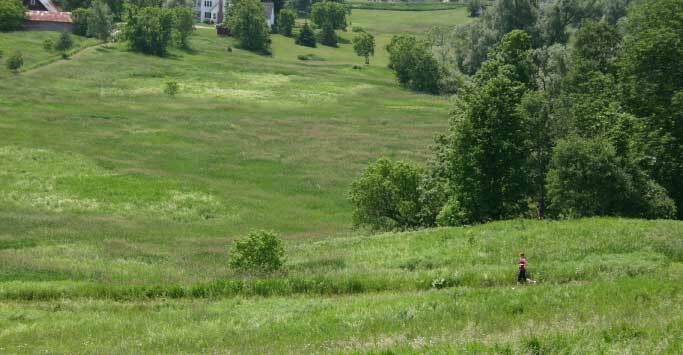 Runners will experience all that is special about Vermont: the small towns and villages, farms with rustic barns and pastures of cows, and the roaring waterfalls in Granville Gulf. 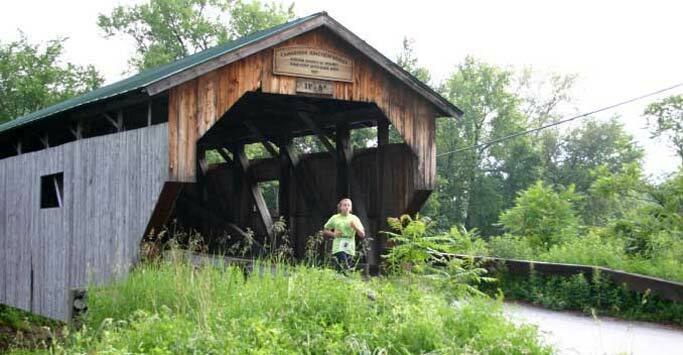 Runners cross over six historic covered bridges, go up and over challenging hills such as Terrible Mountain, and finish with the historic Bennington Memorial on the horizon. The relay begins 45 minutes from Burlington in the small town of Jeffersonville and finishes in Bennington. 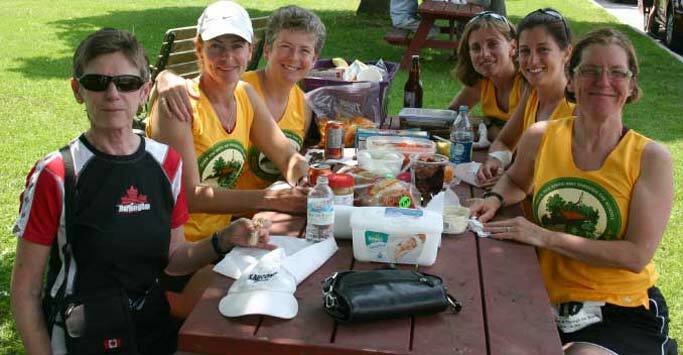 There are two main divisions of teams in the Green Mountain Relay: 12-person and Ultra teams. Both divisions have competitive and non-competitive options. 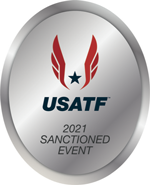 12-person teams are comprised of 7 - 12 runners and have six competitive categories to choose from: Men's, Women's, Mixed, Open, or Master's categories. Each member of a 12-person team will run three legs of the race, with legs averaging 5.6 miles in distance. Teams who wish to be competitive must maintain the same rotation order. 6 x 6 Ultra for runners that want to take on a more serious challenge. Ultra teams are four to six runners and rotate legs just like the 12-person teams. Competitive categories are: Men's, Women's, Mixed, Open, or Master's. Teams who want to shake things up a bit can choose the non-competitive Helter Skelter category. Helter Skelter teams may mix up the order of runners but all other relay racing rules apply. No awards are given for teams in this category. Long-distance relay racing is a form of self-supported adventure racing. You and your team will be out all day and all night dealing with everything the course throws your way. While we will be there to make sure you have an amazing experience, you are responsible for your own food, water, and transportation (team vehicles). This also means being prepared for things like adverse weather conditions and the darkness of night. We're not trying to scare you - these challenges are some of the very things that make long distance relay racing so rewarding! Putting on a long race that passes through rural areas is a challenge. In order for the Green Mountain Relay to be a success, each team will be responsible for choosing one of the two volunteer options- one of which benefits local community non-profit organizations. In this way, we will secure the commitment of volunteers necessary to act as Race Marshals, staffing the Start and Finish areas, and the 35 exchange points along the course. Ready to register? Click here to register. Are you an individual runner looking to join a team, or a team looking for runners? Check out our Team Matching Message Board. Please sign up for our e-mail newsletter. You'll be kept up-to-date on the Roads Less Traveled Relays races. You should find answers to most of your questions on this web site. If not, feel free to contact us.